f you want to backup or edit iTunes M4V videos or play them freely on more devices, you'll have to convert the DRM-ed files to a universal video format, such as AVI, WMV, MP4 etc. In this article, I will take AVI for example and walk you through the steps on how to remove DRM from iTunes videos and convert M4V to AVI without any hassle. When talking about converting iTunes videos, some users may ask why converting to AVI format instead of other formats? Actually different formats have different advantages. But for editing or backup, AVI is probably the best format. Developed in 1992 by Microsoft, AVI is the most commonly used video format so far. It is supported and used widely across multiple platforms including Linux, Mac, Windows, Android mobiles, cameras and so on. Besides, AVI has best video playback quality and performance. By converting iTunes HD 1080P M4V video to HD AVI, you won't perceive any visual difference by eyes. You can then transfer the converted AVI files to other devices such as external hard drive for backup or import them to video editors like iMovie for editing. The most important thing is that it is not difficult to convert iTunes M4V to AVI at all if you get the right tool. 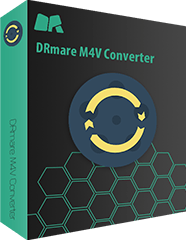 Here we mean DRmare M4V Converter, a smart DRM removal tool to convert any iTunes M4V video to the new AVI files in 3 steps only. 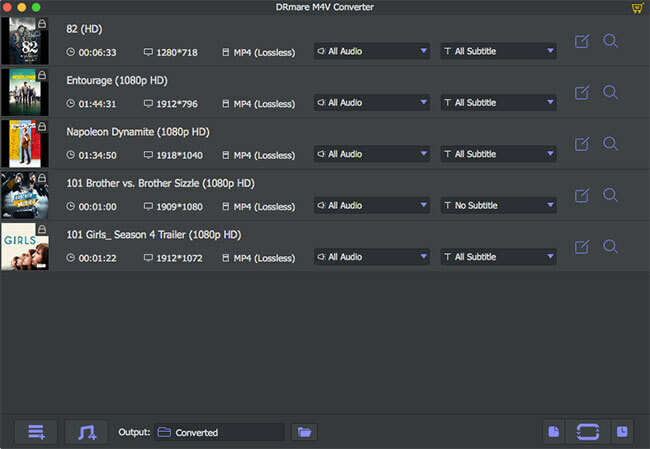 DRmare M4V to AVI Movie Converter offers free trial versions for both Windows and Mac systems. To find out how it performs, you can download and install the proper version on your PC and follow the guide here to convert iTunes videos to AVI format in seconds. Please navigate to find and lunch the DRmare M4V Converter on your computer first. You can click '+' button to open the file importing window, then you will see a list of the iTunes videos which are downloaded on your computer and you can select the videos you like and click 'Add' button to import them in batch. Additionally, you can drag and drop to import M4V videos straightforwardly. 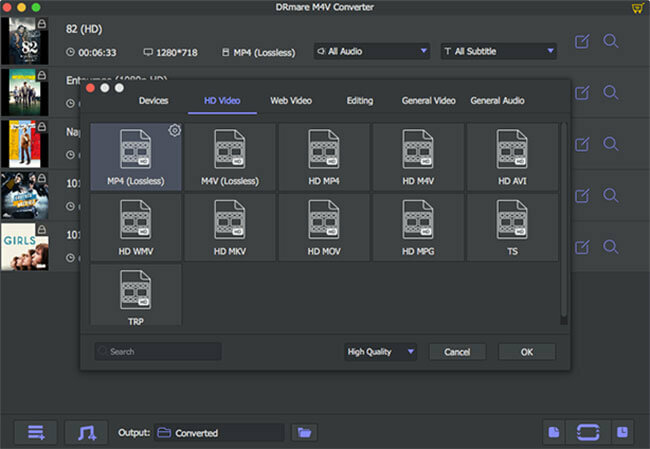 Go to the lower left screen of the DRmare M4V to AVI Converter, you will see the format selection droplist, please click it, you will see a popup panel and you can go to the 'HD Video' tab and select 'HD AVI'. You might click the small gear icon above the format to do some customization on your AVI videos too etc. Once you have everything set, you can go to the bottom right to click the conversion button, the DRmare software will start to batch strip DRM from your iTunes videos and convert them to the AVI movies automatically. As you can see, it is so easy to convert iTunes M4V videos to AVI using DRmare. Have you learned that well already? 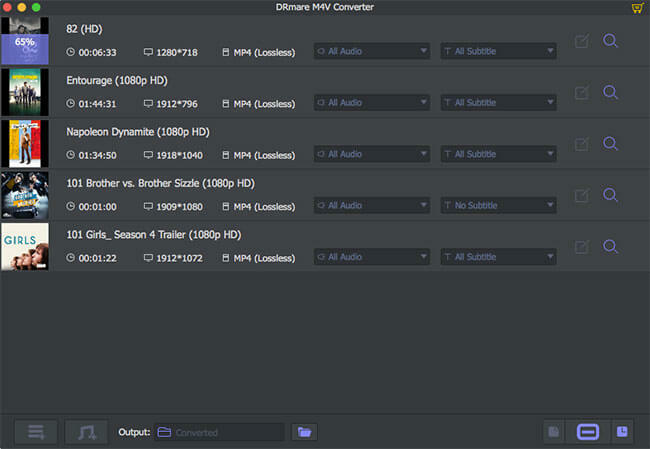 Generally it takes only a few minutes to convert a 2 hours movie with DRmare M4V Converter. By converting to AVI format, there won't be any digital rights management copyright protection in the iTunes movies so that you can simply transfer them everywhere for any purpose, like backup, editing and sharing. But please kindly note that the file size of AVI is normally much bigger than other formats like WMV, MOV, MP4 etc. So it is not perfect for streaming online. If you want to convert iTunes videos for streaming online, you might convert iTunes videos to WMV. If you still have any question about converting iTunes M4V videos, you can feel free to leave your comments below.